From the Sierra Velasco. Sepia-tinged lilac-pink flowers. 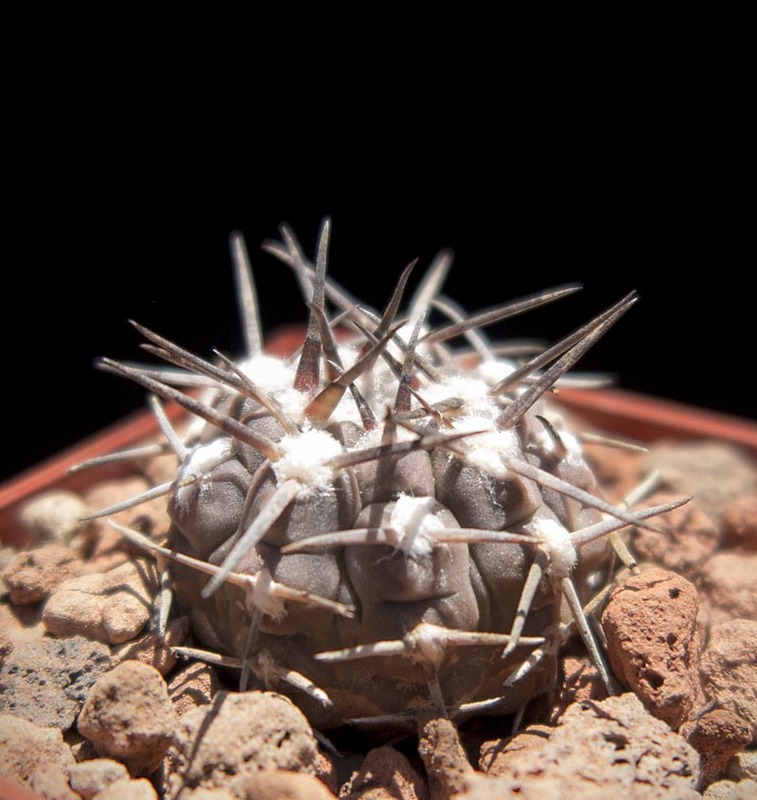 Small barrel cactus, to 4″ across, often flattened.